Teensy weensy annoyances with your husband or wife? Boyfriend or Girlfriend? 'I still love you even though you pronounce scone wrong' has got to be up there with the most annoying traits! 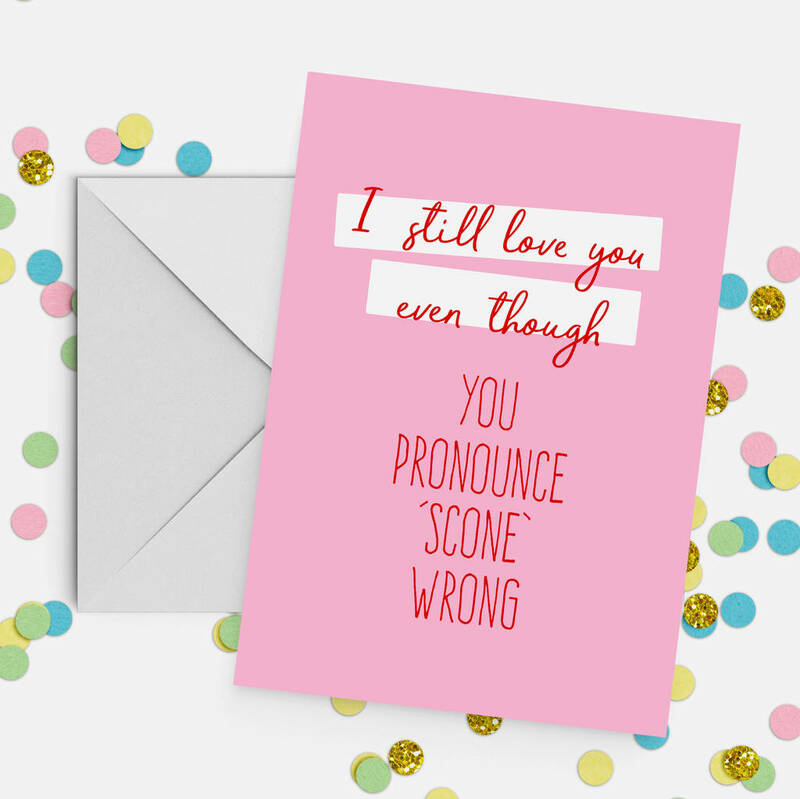 A funny Valentine's card that's bound to make them laugh. Design is printed on 300gsm Olin Matt card with a slight texture and professionally printed with a full colour digital print. This is a tactile paper that is environmentally friendly and produces the highest quality print.